With an eye-catching two-tone body, the Google Pixel 2 is as stylish as it is smart. 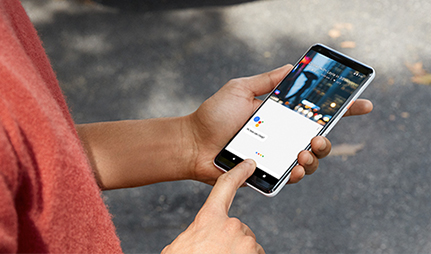 Manufactured from high-quality metal, and presented with a water-resistant finish, Google Pixel 2 has the durability to cope with the day ahead. The high-resolution display measures in at 5 inches, and is complimented by high-definition stereo speakers to bring your favourite content to life. This HD screen features an ‘always-on’ function, displaying the time and notifications even when the phone is sleeping, so you’ll never be in the dark. The 12.2MP camera on Google Pixel 2 is equipped with HDR+ to offer incredible detail, even in low light. It also offers image stabilisation to keep things steady, and the option to blur backgrounds for professional quality results when shooting portraits. 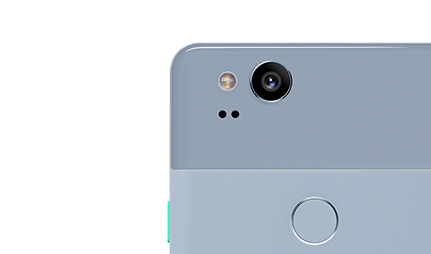 Smarter than the average camera, Google Pixel 2 features Google Lens, allowing you to look up info by simply pointing the camera at real-life objects. From books, movies and album covers to artwork and buildings, just fire up Google Lens for instant info about whatever you’re looking at. Powering Google Pixel 2 behind the scenes is the super-fast Snapdragon 835 processor for a smooth and reliable user experience. There’s also the latest Android Oreo operating system for new energy management, multitasking potential and improved security. 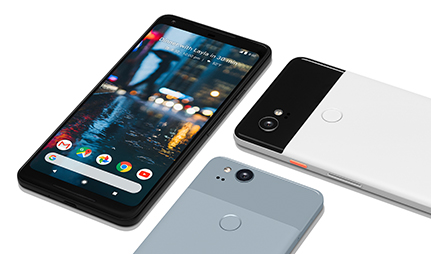 Featuring a fast-charging, long-lasting battery, Google Pixel 2 is ready to go the distance. If you need to juice up in a hurry, the heavy duty battery on board can offer up to seven hours life from just a 15 minute charge. 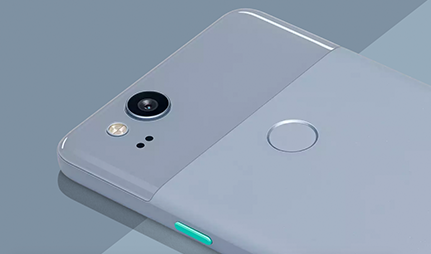 Enjoy piece-of-mind with Google Pixel 2’s super-fast and accurate fingerprint scanner. Located at the back of the device, it’s conveniently placed for a quick and easy method of securing your personal info and data. Whether you need to send a hands-free text in a hurry, turn on Bluetooth, or request directions, the voice-activated Google Assistant is ready to assist. Just give the handset a squeeze to activate your very own PA. With super-smart Google Assistant in your corner, the sleeping display even shows info on whatever song may be playing in the background. Learn all about Google Assistant, and find out how to use it with the Google Pixel 2, Pixel Buds and Google Home.